Our Minoval Hair Regrowth Treatment solution is perfect for women looking to stop the effects of thinning hair, while simultaneously stimulating new hair growth. Our Minoval Hair Regrowth Treatment solution is perfect for women looking to stop the effects of thinning hair, while simultaneously stimulating new hair growth. Our topical formula contains 2% Minoxidil, making it specially designed for women to assist in preventing hair loss and prolonging the growth period of the hair. 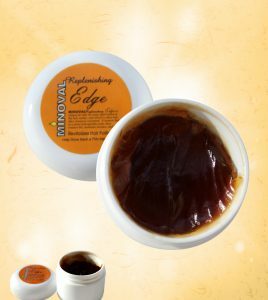 Minoval Hair Regrowth Treatment is clinically proven to help repair damages to the scalp, while revitalizing hair follicles that haven shrunken over time. 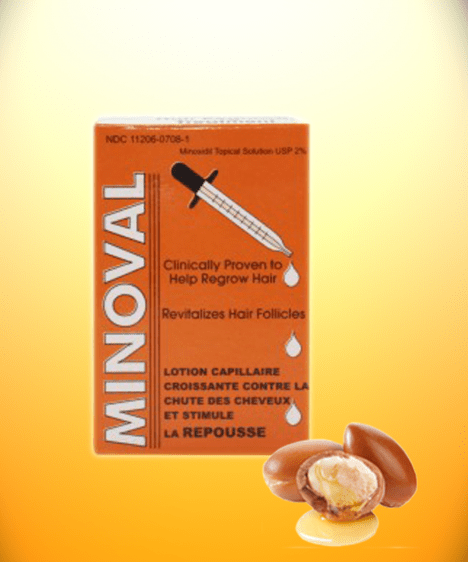 Directions: Use Minoval Hair Regrowth Treatment for Women on dry hair twice daily over the course of four weeks, or as needed. Simply part hair and apply the solution in 1ml drops directly to the scalp in the area where you’re experiencing loss/thinning. Massage evenly across the affected area in a circular motion. Do not rinse. Wash hands with warm water and soap immediately after application. Style as needed. This package contains one 30-day supply. 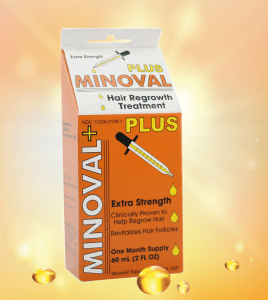 Our Minoval Plus Hair Regrowth Treatment Extra Strength solution is perfect for men looking to stop the effects of visible thinning and hair loss, while simultaneously stimulating new hair growth. 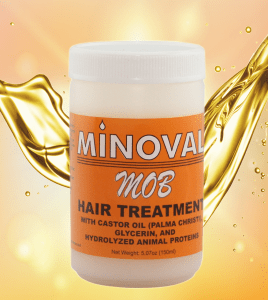 Our Minoval MOB is a daily-use system specifically designed to treat dull, dry and damaged hair with rich nutrients, including castor oil, glycerin and hydrolyzed animal proteins. 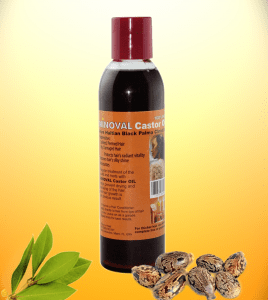 Clinically proven to reduce hair loss, Minoval Castor Oil is highly effective in repairing dry and damaged hair caused by color and chemical treatment.